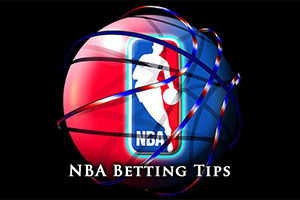 We may have arrived at Sunday, but there is still enough NBA action to keep you interested and betting before this week ends and a new one begins. There were a few exciting games on Saturday, and hopefully there will be some exciting moments in the Sunday games. The Rockets had a narrow home win over the Mavericks, by a score of 95-92 while the Spurs were a lot more convincing their 99-87 win against the Nets. The Jazz slumped to a home defeat against the Pelicans, by a score of 94-106, and the Timberwolves also lost out at home, defeated by the Kings by a score of 101-113. The Bucks were another home side that lost on Saturday, the Wizards grabbing a 100-111 win. The Clippers may be happy with their 7-4 start, including a 3-1 away record, but the Grizzlies can boast of a 11-2 record, including a 7-0 run at home. The Clippers will be keen to prove that all good runs come to an end but it may well be that the Grizzlies have enough about them to keep the Memphis crowd cheering for a good while longer. Both teams are coming into this game after a win. The Clippers defeated Miami 93-110 on Thursday night while the Grizzlies defeated the Celtics 117-100 on Friday. Marc Gasol was in excellent form for the Grizzlies, grabbing a career high of 32 points against the Boston side. The Clippers have no significant injury concerns but the Grizzlies have a whole host of players that they need to monitor on a daily basis, with a stomach virus working its way through the squad. Players like Quincy Pondexter, Tony Allen, Jarnell Stokes, Courtney Lee, Jon Leur, Beno Udrih and Kosta Koufos are all being monitored on a daily basis due to knock and niggles, which means that the Memphis team may not be the one that the coach would play in an ideal situation. This virus led the team to send five players home from Toronto early, which may have had an impact on the team blowing the final quarter in that loss. The amount of injury concerns may play a part in this match but even with that in mind, taking the Grizzlies at -3 with odds of 1.90 isn’t too bad a deal for some basketball betting action on a Sunday. Bet Now! The Denver Nuggets record of 5-7 isn’t impressive but again, the Lakers are the poorer team, with a 3-10 record, and a 1-5 record at home. There were hopes that wins in Atlanta and Houston would be enough to get the Lakers on track but they capitulated in Dallas, losing by 140-106. This means that there is a need for the team to start again, and they definitely owe their home fans a performance or two in the next few games. The Nuggets had a terrible start to the campaign, they were 1-6 at one point, but they have won four out of five games, including Friday night’s 117-97 win against the Pelicans. Wilson Chandler has served up 39 points in his last two games, so there are definitely points in this Nuggets team, and it is likely that they will be too strong for a Lakers team that is toiling to get any defensive form together. The Nuggets are keeping a close eye on JJ Hickson while the Lakers are likely to be without Nick Young and Wayne Ellington while Jeremy Lin and Carlos Boozer are being monitored on a day to day basis. With the current form of the Lakers, you have to be looking at the Nuggets, and odds of 1.90 for the Nuggets at -2 are very tempting. Bet Now! The Trail Blazers hold a 9-3 record as they head to Boston, while the Celtics have a 4-7 record, with a 2-4 record at home. The Trail Blazers are on fire at the moment, having won their last six games while Boston holds a 1-4 record in their last five games. The Trail Blazers are heading out on the road for three games and after a comfortable win against the Bulls on Friday, they should be brimming with confidence. Damian Lillard grabbed 21 points in that game, showing some fine form after a slow start to the season, but the defensive work displayed by the team has been strong too. This form has been stronger at home as opposed to away, so there is work to do in Boston, but there are signs of a strong season ahead for the Portland side. A 117-100 loss at Memphis was a tough game on Friday for the Celtics, but they did have 6 players reaching double figures in the game. There is an inconsistent streak in the team at the moment and with Rajon Rondo yet to find any form this season yet, it has been a tough slog for the famous franchise. There aren’t too many injuries for either side to contend with, Boston are likely to be without Marcus Smart and Portland are likely to be without Nicolas Batum and CJ McCollum. It may be a close match if the Celtics finally get their act together but with the Celtics poor home record and current form, taking the Trail Blazers at -5.5 for odds of 1.90 doesn’t seem like a bad suggestion for a Sunday. Bet Now!